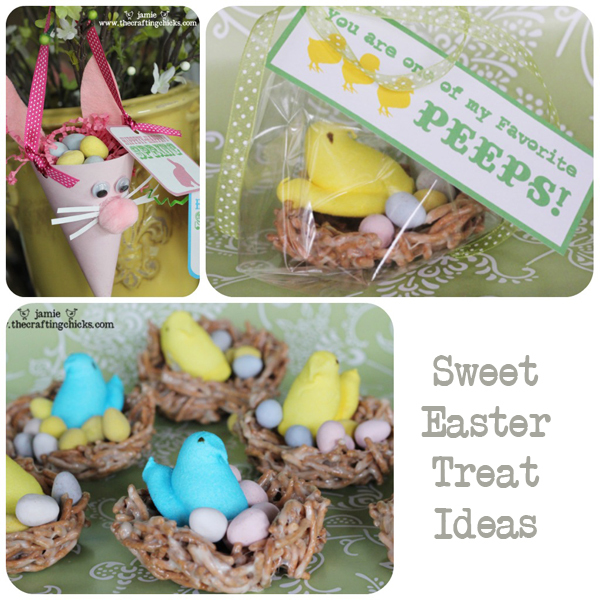 I saw these Easter Peep Houses on Yesterfood. So stinkin’ cute! 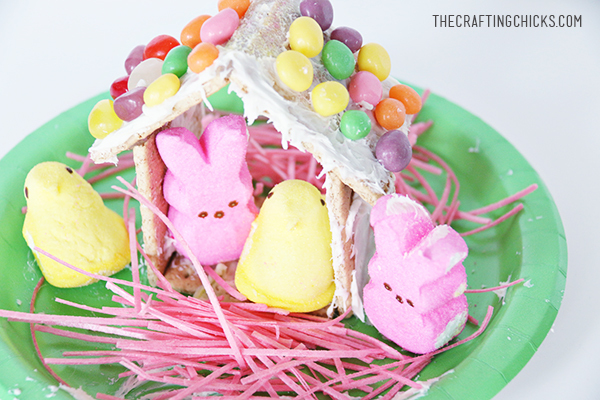 Every year at Christmas time my kids look forward to decorating gingerbread houses…it is one of their favorite traditions…so I knew they would love make these Peep houses. 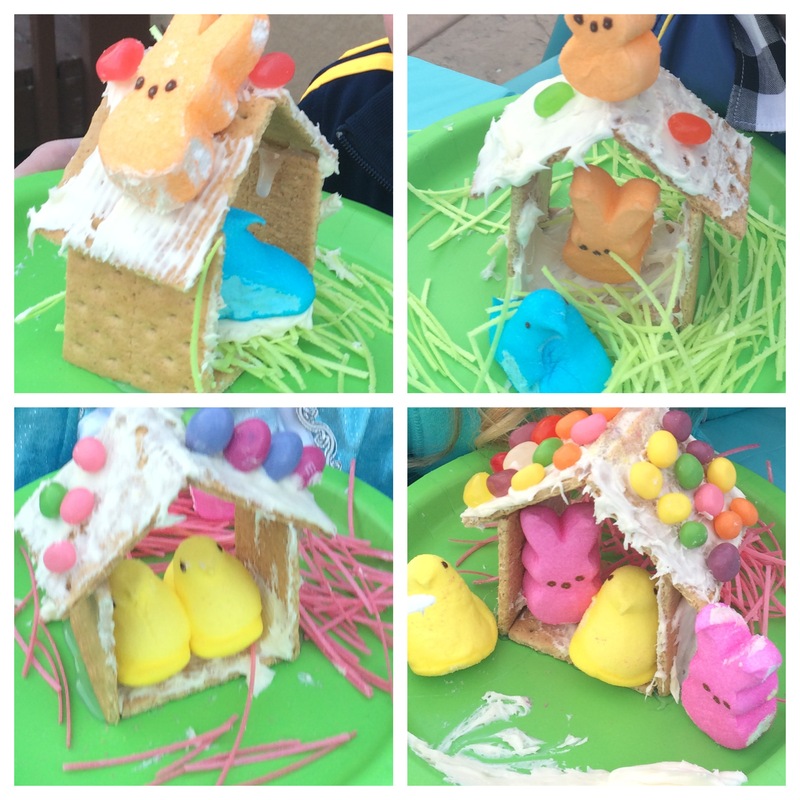 They were so easy to prepare for…only a few items were needed, and the kids had so much fun adding their own creativity to their Peep House. 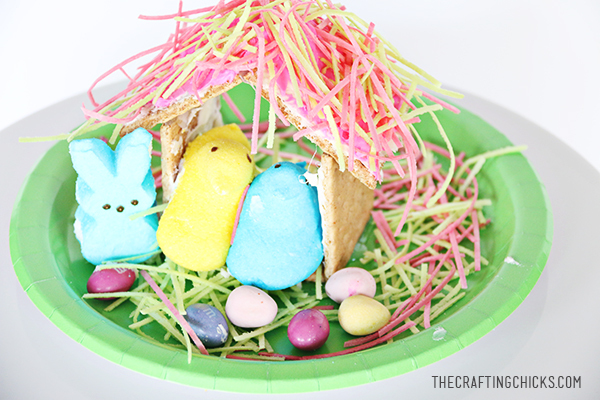 I love how our Easter Peep Houses turned out. They are so cute to display through the month. 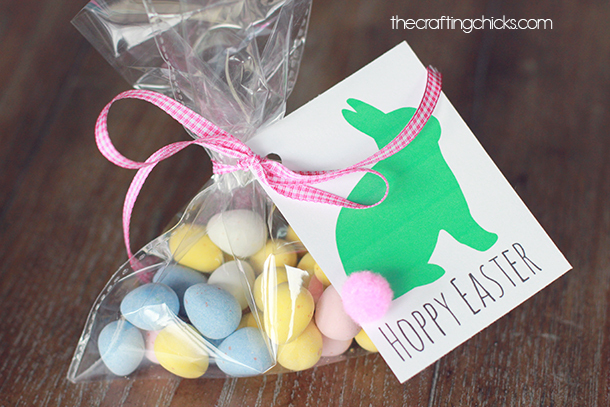 Or to use as a centerpiece. I love seeing their little creations around my house. 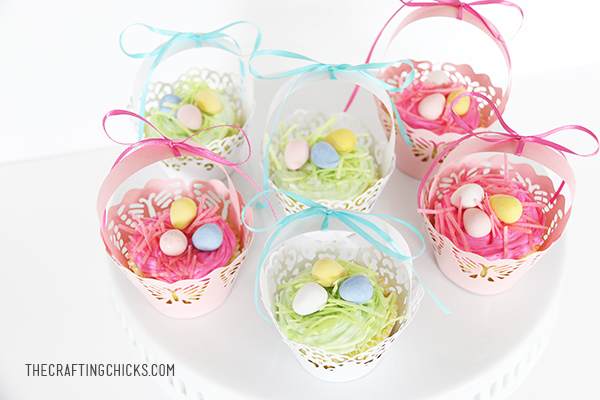 Add the Easter Peep Houses to a cake stand…and place on your counter. -Hot GLUE!!! The SECRET WEAPON! 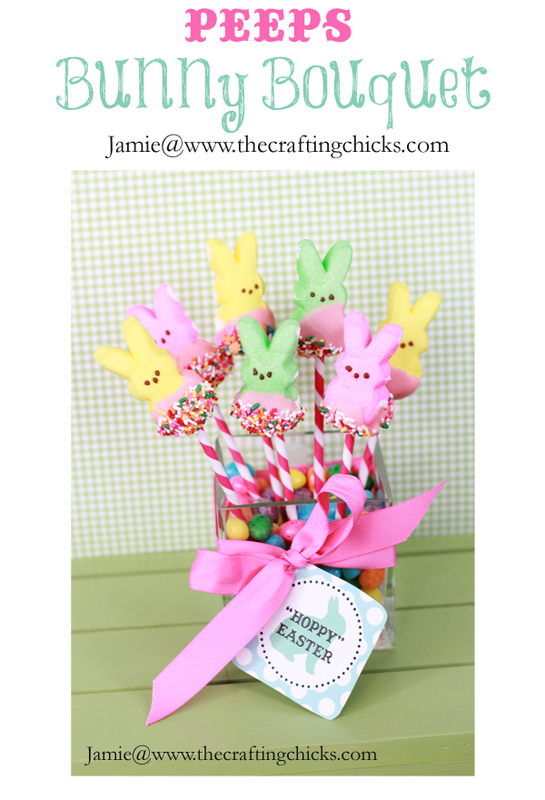 Secret weapon…Hot Glue! 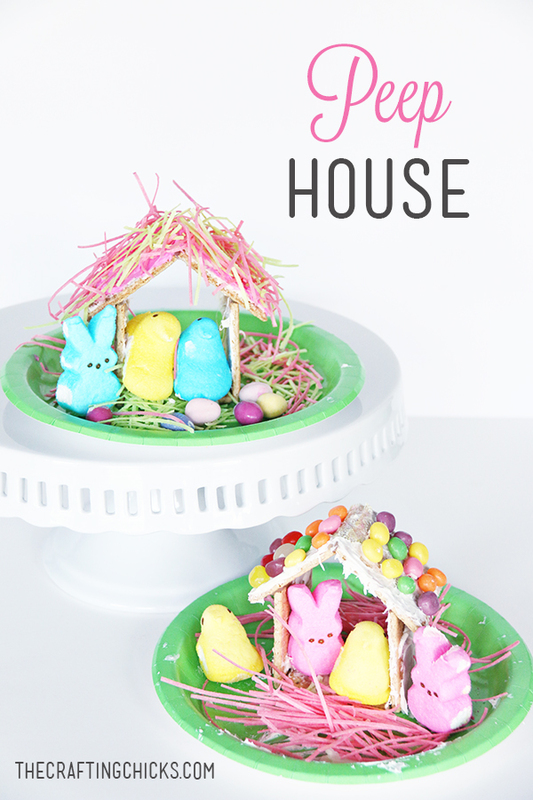 Before the kids decorate…I glue the houses together. 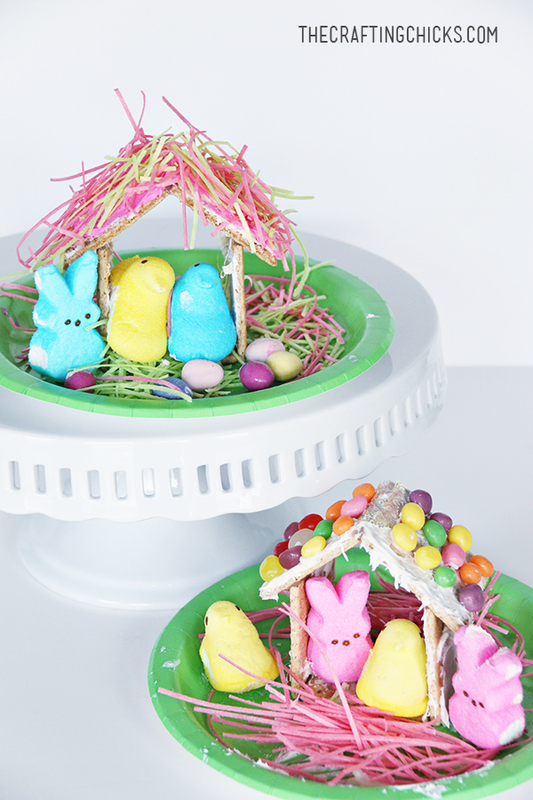 You can see in the photo above how I constructed each house using hot glue. This does the trick! 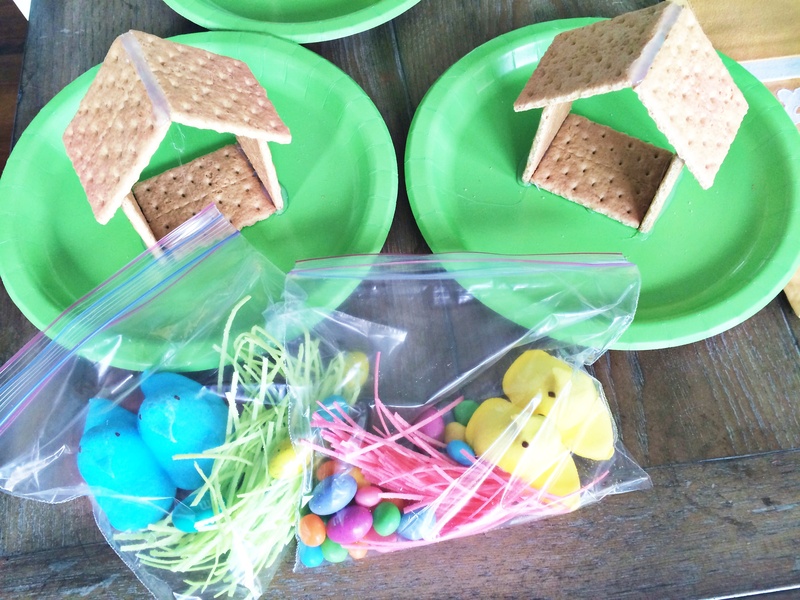 Then the kids can add the frosting, jellybeans, edible grass, and Peeps! 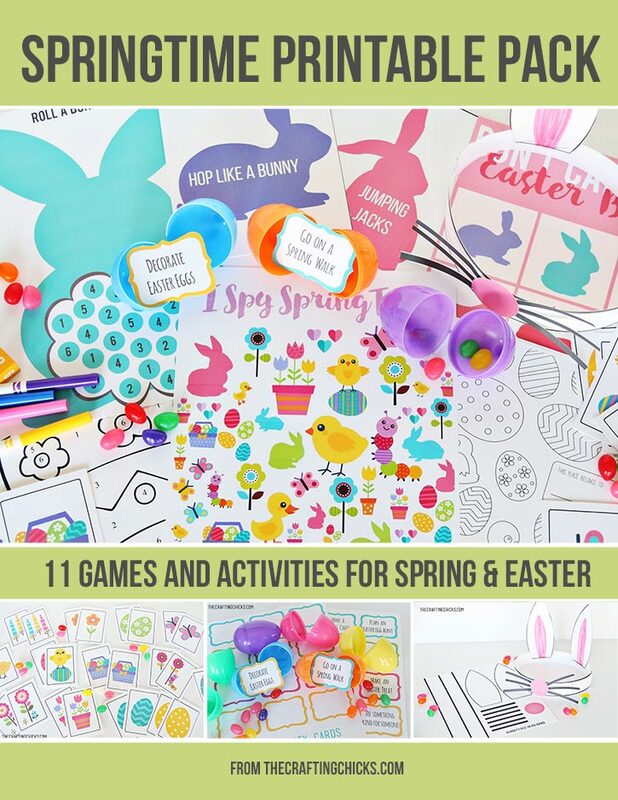 Such a fun, adorable Easter and Spring Craft!